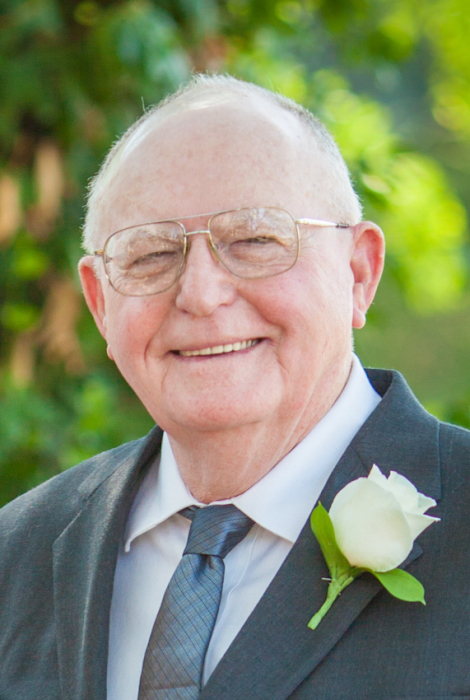 Larry R. Acker, 79, of West Dundee, formerly of Rushville and Schuyler County, passed away at 7:15 AM, Wednesday, January 23, 2019 at his home. He was born on September 9, 1939, in Schuyler County, Illinois, the son of Earl Acker and Mamie Inez (Armstrong) Acker. He married Janice Henry on February 10, 1962, in Rushville, and she survives. Also surviving is a daughter, Vicki Schramm and husband David of Crystal Lake, a step-son, Gary Allen Drake of Raymond, Washington, two grandchildren, Emily Loftus and husband Kevin of Huntley, and Evan Schramm of Island Lake, two great-grandchildren, Kailyn Loftus and Carter Loftus, brother-in-law, Jim Edwards of Rushville, sister-in-law, Patricia Acker of Normal, and several nieces and nephews. He was preceded in death by his parents, two brothers, Thomas Henry Acker and Victor Wayne Acker, six sisters, Margaret Adelia Spates, Faye Nadine Cummings, Dorcus Jean New, Alice Aline Chipman, Ellen Marcia Krasuski, and Norma Lou Edwards. He attended Rushville High School, worked at NTN Bower for 36 years retiring in 2002. He was then a bus driver for Schuyler schools until retiring in 2013, when he and his wife moved to West Dundee. Larry enjoyed woodworking, small engine repair, and feeding and watching the birds. He loved spending time with his family and sharing fruit snacks with his great-grandchildren. He was a sports fan and followed Illini basketball and his beloved Chicago Cubs. Memorial services will be at 11:00 AM, Saturday, February 2, 2019, at the Wood Funeral Home in Rushville, with Pastor Christopher Strohbeck officiating. Interment will follow in the Rushville City Cemetery. Visitation will be from 10:00 AM until service time, Saturday, February 2, 2019, at the Wood Funeral Home in Rushville. In lieu of flowers memorials are suggested to Schuyler Jail Museum & Genealogical Center in Rushville.